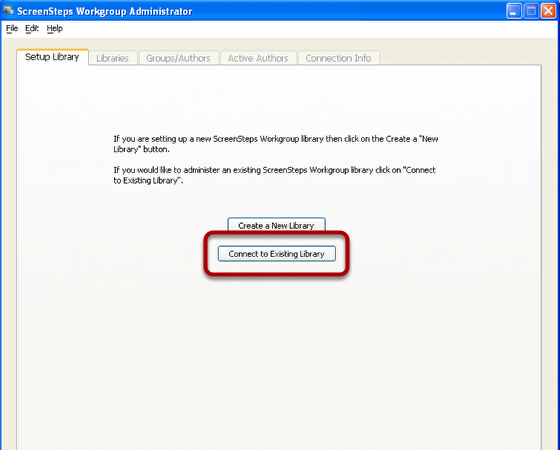 This lesson will show you how to connect to an existing ScreenSteps Workgroup library. To get started you need to download and install ScreenSteps Workgroup Administrator. When you launch ScreenSteps Workgroup Administrator for the first time on a computer you will see this screen. 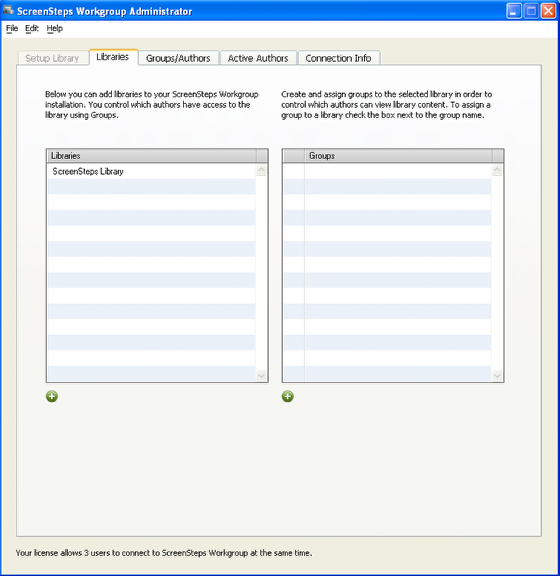 To connect to an existing library click on the Connect to Existing Library button. Enter the connection settings for the database server where the ScreenSteps library database was installed*. * The database user account that you connect with must have permission to modify database tables as well as add, delete and update records. If you entered the correct connection settings then you will be taken to the Libraries tab. You can now perform any administrative tasks.